I'm looking forward to the last two weeks of the month. Once I finish a tough stretch at work this week, I'll have two deep-water pelagics and some good shorebirding ahead of me. This weekend is a 24-hr trip out of Rhode Island to Block Canyon. Last year's trip, postponed to early September due to weather, had a state-first Band-rumped Storm-Petrel, a Black-capped Petrel, and a juv Long-tailed Jaeger. 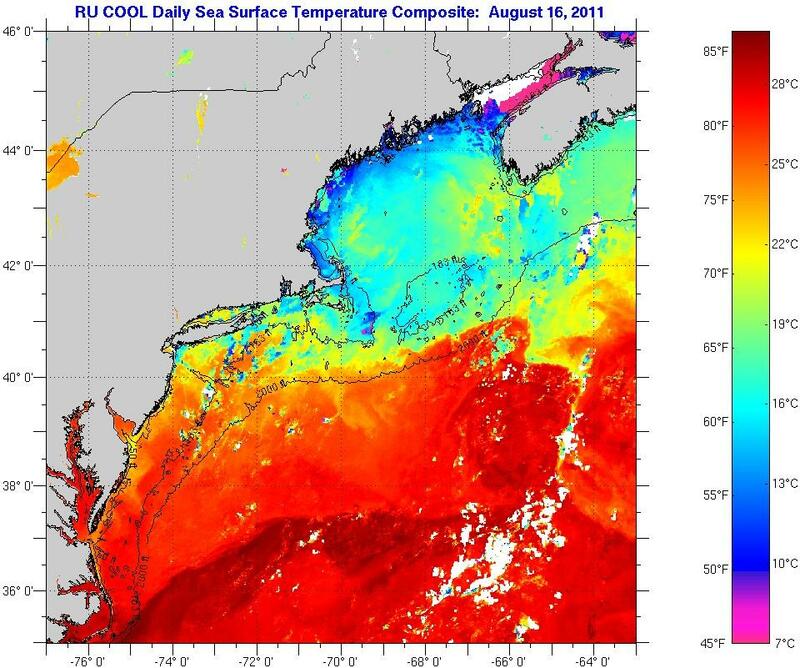 The following weekend is a 36-hour trip out of Cape Cod to the more easterly canyons such as Hydrographer and Welker, or maybe even further east. Last year's trip, which I had to miss due to work obligations, recorded an unprecedented 22 White-faced Storm-Petrels. Hopefully neither trip is weathered-out. 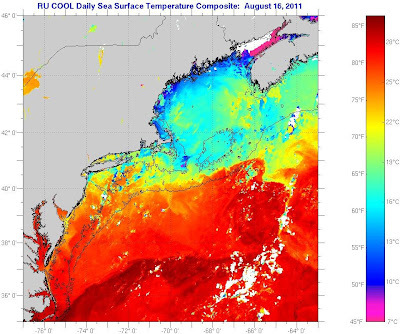 A look at the recent sea surface temperature maps has consistently shown a sharp temperature break at those eastern canyons between very warm and very cool water. If that pattern holds, it could make for a very interesting trip out of the Cape. I plan on birding South Beach, MA at least once during that stretch, plus a fair amount of CT shorebirding and perhaps a boat ride or two in Long Island Sound to hope for *any* pelagic birds of any kind. I'm also feeling up for another good chase, so if someone turns up, say, a Lesser Sand-Plover somewhere in the northeast, I'll make the trip. May the force be with you, Nick! We are heading to Oz on Monday and are doing a pelagic out of Wollongong late in the month. I have wanted to see albatross ever since I was about 10, so here's hoping.